London, Dec 6 (IANS) More than 100 government ministers from around the world gathered here on Thursday for a major summit as part of the global fight against corruption in sports. They were joined by delegates from international sports organisations and experts from around the world to reaffirm the global commitment to tackling corruption in sport, reports Xinhua news agency. Delegates at the International Partnership Against Corruption in Sport (IPACS) met to discuss how to manage conflicts of interest in awarding major sporting events to ensure the process is fair and transparent. Britain's Culture and Sport Secretary, Jeremy Wright, said: "Today's event is another important step in the ongoing fight to eliminate corruption from sport. Every fan and athlete should have faith that contracts are fairly awarded, events are given to the strongest bid and the highest standards of governance are being upheld." The event has been co-ordinated by a Core Group of partners including the Council of Europe, the IOC, the Organisation for Economic Development and Cooperation (OECD), the UK Government, and the UN Office on Drugs and Crime (UNODC), IPACS consists of a Steering Committee composed of governments, sports organisations and inter-governmental organisations. 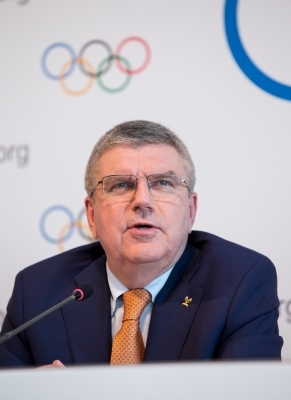 Thomas Bach, President of the IOC, said: "The IOC remains committed to fight corruption in sport at all levels. Integrity entails credibility, and corruption threatens the very credibility of sports organisations as well as competitions. We know we cannot win this fight alone, but need the support of governments when it comes to anti-corruption legislation and law enforcement." Gabriella Battaini Dragoni, Deputy Secretary General of the Council of Europe, said: "Match-fixing, illegal betting, bad governance, insider information, conflicts of interest, and the use of clubs as shell companies, the Council of Europe covers all these aspects through the Macolin Convention on the Manipulation of Sports Competitions, signed today by the UK Minister of Sport, as well as through the Council of Europe anti-corruption body, GRECO. "We are ready to develop further an inclusive co-operation framework with states and other international stakeholders to be put at the service of our IPACS partners. When it comes to corruption in sport, there must be a change of gear. We must enable national governments, international organisations and sporting bodies to demonstrate their capacity to take on this problem in a spirit of unity, determination and effectiveness."